Discussion in 'iPhone and iPad Games' started by 2BeansApps, Sep 11, 2015. I was able to sneak 2 missions so far. Feels like murder though. The dinos are just walking/flying around doing their business and there you who just shoots them for no reason. From what ive played i dont see why the main character is killing dinos. You cant see where your bullets land, all i did was put the dinos inside the round crosshair, and when pressing buttons i feel like it's just giving me "headshot" or "bodyshot" messages at random. Other than that, the visuals are quite nice and the controls are decent. The main thing for me is a reason to kill dinos, maybe a backstory at least, coz it just feels like violating some nature/animal/dino-related laws or something. Oh man PETA is going to be all up in arms over this. The Dino's don't try to kill you in the chopper? That's silly. There has to be danger for it to be thrilling. Not to take anything from it, coz this game definitely has potential to be really good. As mentioned the controls work well, the animations and visuals in general are really good. Adding a bit of reason to actualyl kill dinos to make sense of it will be a huge improvement already. It's hard not to compare, but one example of a similar classic title is Zombie Gunship. In ZG, you are killing zombies to protect bunkers and safe spots for other survivors. There is reason to kill zombies, and there is a goal that you must work to achieve. I'm hitting the buy button now. I wanna kill me some Dino's. I'm interested to see what missions and trophies there are and there's no in apps. I want to support Devs that provide premium games. I put my money where my fingers are hehe. I'll post impressions later tonight or tomorrow. Ok a few issues already. 1) on mission 3 where you have to kill 3 triceratops and 7 para(something's) it unlocks the M16. I was happy. Now the first two missions with the mp5 I had unlimited ammo. I kept shooting and reloading. There's no ammo counter at all anywhere in the game. I was happy with this. Anyways back to using the M16. I got all the kills I needed except the last triceratops. I had to reload. Nothing happened. I keep pressing the reload button. There's clicking sounds but it appears I have no ammo. There's no ammo counter. How am I supposed to know ? I failed the mission. It really pissed me off. 2) there's no tutorial whatsoever. You just guess. Is there unlimited ammo? Is it limited ? What is the criteria for getting no the 4 shield trophies in a mission? Help a brother out please Devs? 3) when you complete a mission, instead of going to the next mission or atleast bringing you to the mission map, no it brings you to the main start page. 4) after reloading a magazine I have to lift my finger up and force it to go back into iron sights mode. It should automatically snap back into iron sights if I had them active when I pressed reload. It screws with the flow of the aiming. Atleast make it an option in the pause menu so players have a choice? These issues are just after a few minutes of playing. The biggest issue and it's just about a game breaker is the whole limited/unlimited ammo counter issue. I'm fine with unlimited. I prefer it I be unlimited. You are in a huge chopper after all. And it gives the game that arcade feel. But not knowing and not having a counter somewhere so I know? 1) Nice graphics, sounds and movement. 2) the controls are great! There's a sensitivity slider in the pause menu. Well done. Thank you Exact-Psience and LordShad0wz for impressions for far. Exact-Psience, you are right it's a complete slaughter. 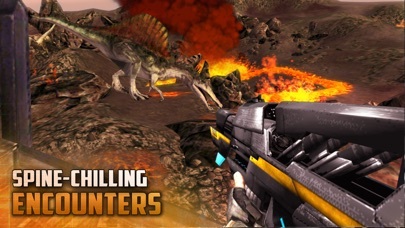 but like Glu's Dino Hunter, it's just a bit of fun. Don't take it too seriously, I promise we are not bad people! LordShad0wz, all weapons including the M-16 are supposed to have virtually unlimited ammo - which is why there is no ammo counter. In all our play-through's we never ran out of ammo. You might be a bit more trigger happy, and there's nothing wrong with that - a small oversight by us. Ok trophies - this is how they work: Say you pass the 4 bronze missions, you then unlock the silver trophy missions, and so on. So the number of trophies that light up after a mission is simply showing you how close you are to unlocking the next set of missions. There is some weird clipping, and aiming down sights causes some weirdness with the gun being diagnol and not aligned. 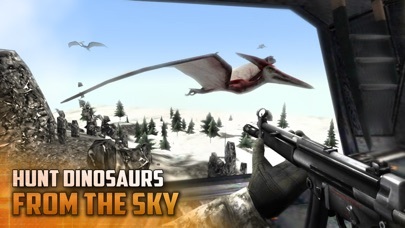 Maybe instead of just a turkey shoot you could have us protecting a caravan going from one end of the level to another, while allowing the pteradactyls to attack the chopper. Maybe make the dinos easier to see against some of the back grounds, though the natrual coloring is nice. Maybe have some missions with us in a jeep fighting off approaching dinos? Either, good basis so far. That's a good idea for a sequel, like the scene from Jurassic Park 1 where Jeff Goldbloom is in the back of a jeep with a T-rex chasing. Add a machine gun to that, would make for an amazing game. "Must go faster!" Thanks - appreciate the comments and ideas. I have played through the bronze missions and have to say the game is a lot of fun. 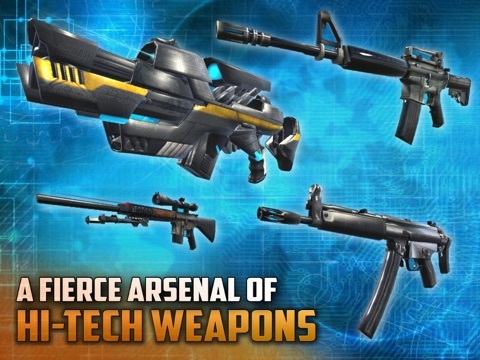 I like an fps on a mobile device to be easy to pickup and play and doesn't require big chunks of time to get through. This game has both. 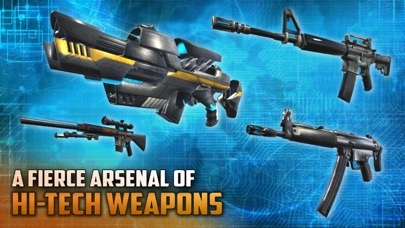 The controls are shoot, aim down sights, and reload, and the missions are just a few minutes each. Controls are perfect, game has good graphics, and the game runs at 60 fps on my 6+. Having a good time with the game so far and am looking forward to playing through more levels. My suggestions to this game would be an ammo counter so I can judge if I need to reload or not. A quick explanation of the medal requirements at the end of each mission and info on how guns are unlocked. Maybe even add a mini map in the corner of the screen that points out where the dinos are. Game is great right now, but some or all of these improvements would make it that much better. Dev: Good luck with your game I'm really enjoying it. Good to see you participating in the thread and answering questions as they come along. Thanks Matyou98, really glad you're enjoying it. One thing I'd like to clear up is that you don't actually need to unlock weapons exactly, but when you unlock missions the required weapon for that mission will automatically be available. Devs any idea when an update for a fix will be submitted? 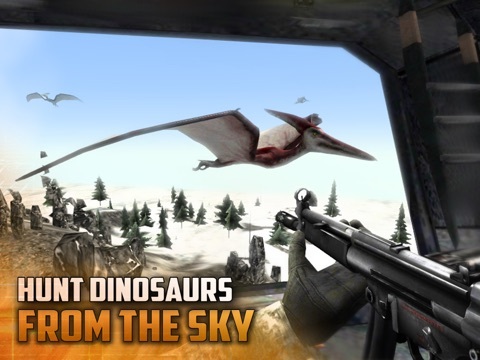 We are slashing the price of Dino Gunship to 0.99c for a few days! Any idea when the update is happening to fix the ammunition issue?